You have probably seen speed bumps on roadways and sidewalk entrances as you approach a busy market, school, or any other place where a slow speed limit is of great importance. These structures play the role of slowing down traffic, which ultimately boosts road safety and prevents speeding. Just like installing any other physical structure, there must be some specific, and thoughtful reasons as to why you should install a speed bump in your parking lot. As mentioned in the introductory section, speed bumps will reduce the speed under which drivers will navigate their cars through your parking lot. If you have lots of pedestrians in your lot then, without a doubt, speed bumps play the role of slowing down speed, which prevents scares, injuries, or deaths. Ensuring that these structures serve your actual needs is extremely important. Therefore, consider erecting them in places where most people cross your pavement or where there are blind corners and unexpected turns. Making the right decision on where to build speed bumps based on your needs is best achieved when working with a reputable paving company. The paving on your parking lot should last for a period between 12 to 25 years. However, this is achievable only if you use the right materials. And so, the kind of materials to be used for erecting speed bumps is one of the main considerations to be made before the ground-breaking ceremony! 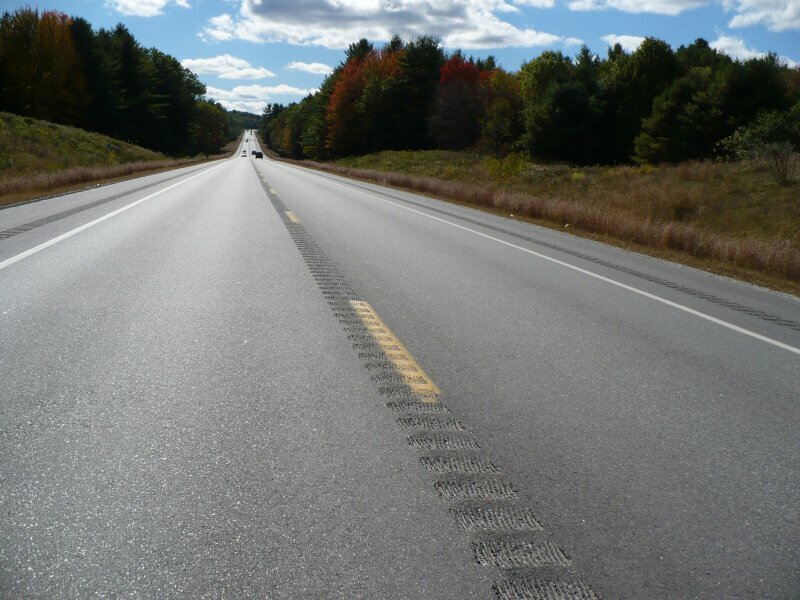 While most speed bumps are made of rubber and a variety of common materials like rumble strips, asphalt is one of the most durable, noticeable, and effective. If you didn’t know, the latter option is made from recycled materials, adding the advantage of being an environmentally friendly option. Despite the fact that asphalt is quite pricey, it is a worthy investment in the long run because it lasts longer, leaving you with only one task – repainting each year to ensure it is visible from a distance. Did we mention something about painting asphalt-made speed bumps in the previous section? Yes, and that is the case with any other material! Whether it is a newly constructed speed bump or one that has been in place for a while, it has been to painted or re-painted to increase visibility. This practice ensures that drivers notice the bumps from a manageable distance in order to reduce speed without any difficulty. That being the case, the pattern to be marked on the paving and parking lot areas is another important factor to consider. Of course, these patterns are unique to help parking lot users easily distinguish them from other road or path features. As mentioned earlier, there are many factors to consider when installing speed bumps, but we believe that those mentioned above are the most important. Since it is crucial that your property is safe as far as parking lot and pavement use are concerned, it goes without further explanation that you should hire a leading paving contractor to ensure installation is done correctly and that you reap the benefits of reducing car speed in your parking lot.